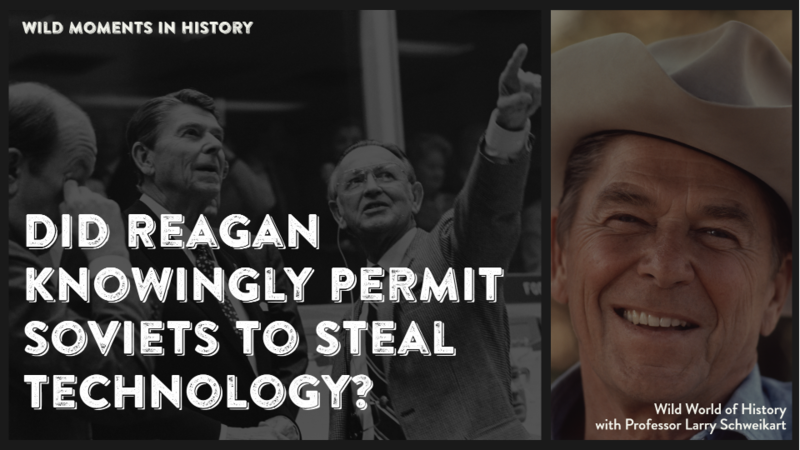 Did you know that Ronald Reagan had a secret plan to let the USSR steal key technology? In the middle of the Cold War, Reagan was informed by the CIA that through a program called “Line X” Soviet spies were acquiring American military-related technology. They would schedule trips to ostensibly arrive in America to visit agricultural plants or look at farm equipment, but through a gap in the process that tracked them when they got here, they would visit glass, fiber optic, or computer facilities. White House policy adviser Gus Weiss came to Reagan with an idea: why not “let” them steal technologies, but with a catch. Whatever they stole would involve hidden, catastrophic failures that would only appear months or even years later? Reagan agreed, and in the highly secretive program, front companies were set up that allowed Soviet agents to acquire everything from aircraft designs to turbopumps and compressors for the critical Trans-Siberian Pipeline that was responsible for bringing badly needed hard currency into the USSR. Over time, the Soviets thought they had achieved a coup. Then things started breaking, including the Pipeline itself, whose pumps massively failed, causing what was, according to one observer, the largest non-nuclear explosion in history, visible even from space. Soviet aircraft designs likewise began to develop fatal failures. The designs and plans had wormed their way through the whole Soviet military system. Merely backward engineering the flaws out would have taken years, and it was time the decaying Soviet Union didn’t have.